Brace Tool is your #1 Canadian Manufacture & International Distributor of Slickline, Wireline & Downhole tools. Please contact your local Brace Tool location for further details. Brace is dedicated to offering the highest standard of customer service, technical support both pre and post sales, operating to the highest levels possible. 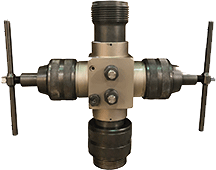 Brace Tool offers a full solutions package, including R&D and manufacturing in Flow Control, PCE and completions products. As part of the Brace Tool offer, Brace is pleased to offer tool & PCE rental replacement service, this service is offered in selected locations. Brace is very pleased to offer a full after sales service for all products and PCE that required an annual or major pressure test or load test this service is offered in selected locations. 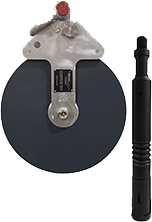 Brace Tool offers a full rental inventory from down hole gauge rings to heavy duty Motorheads. Contact your nearest location for details today. Brace is dedicated to helping its customers with not only quality products, we also offer free E-Learning resources from Downloads to technical videos. I run our Tool Division and we run Brace Tool's dimple connects and motor head assemblies for a variety of procedures. We like Brace's tools for their ability to stand up to the harshest of conditions, while still having the ease of maintenance and parts support we demand - 24hrs x 365 days a year. We are pleased to inform you that the plug was successfully set by Techno Canada operator and as we speak the well is holding pressure.” – Plug was installed in a leaking well in India. CEO & Founder - Techno Canada Inc. I've been involved with Brace tool for 4 years and they always go the extra mile to assist me with solving my problems. Their vast experience and customer service is second to none. I've used Brace Tool for slickline tooling for over a decade. Their service and knowledge of the industry are exemplary, and the tool quality is great! We here at Wireline Services rely on Brace tools for their service and support. Extremely knowledgeable about their products. Paul M. ReyesGeneral Manager - Wireline Services inc.